Advanced experimental techniques to provide data together with the high-fidelity simulations for the iterative feedback of the controller design to be used for the optimisation of the morphing flap of an A320 type wing. 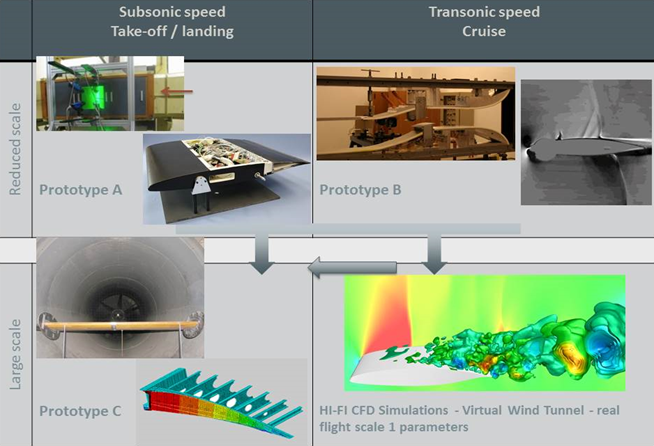 These experimental techniques will also be used as a basis for the validation of both the novel actuation and sensing systems via wind tunnel tests at subsonic (take-off and landing) and transonic (cruise) speeds. Controller Design by appropriate Flight Control Commands (FCC), to actuate the electro-active materials properties in order to enable a real-time in-situ optimisation of the final prototypes in reduced scale and large scale. The SMS project is unique thanks to its strong multidisciplinary character and degree of innovation. Actuation by means of Shape memory Alloys on the Large-Scale SMS prototype (INPT). 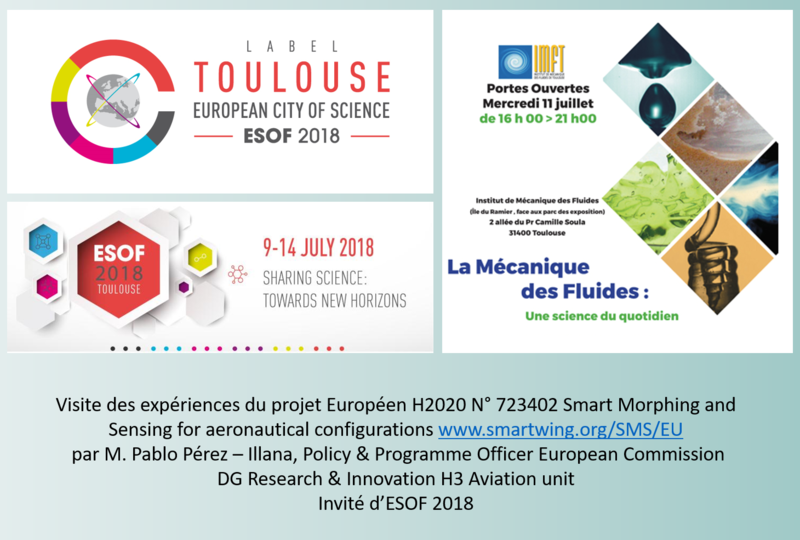 Participation of the SMS project at the ILA – Innovation Leadership in Aerospace in Berlin on 25-29 April 2018 in the stand of the European Commission and presentation of the project by Marianna Braza in the workshop of disruptive wing configurations on 27/04/18 invited by INEA. de Toulouse UMR CNRS 5502.